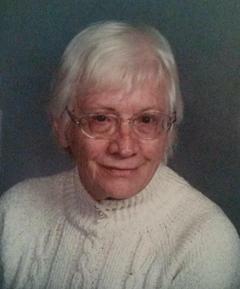 Obituary for Jean A. (Attick) Blackner | W. Orville Kimmel Funeral Home, Inc. In the presence of her loving family, Jean A. Blackner, 90, passed away peacefully Monday, July 30, 2018 at her home in Penbrook. Born November 2, 1927 in Harrisburg, she was the daughter of the late James and Sarah (Bruner) Attick and was a graduate of Hershey High School. In addition to her parents, she was also preceded in death by her beloved husband, John H. Blackner, Jr; her son, Stephen J. Blackner; her brothers, Jimmy Attick, Samuel Attick and Edward Atticks; and her sisters, Mary Ann Attick, Dorothy Minnier, Hazel Brown and Beryl Hoffman. She was a life-long and very involved member of Crosspoint United Methodist Church, Harrisburg, where she was active in the nursery, a Sunday School member, a money counter and a dedicated kitchen lady. She could always be counted on for making Easter eggs and cooking for church functions and banquets. Jean was the very definition of homemaker. Caring for her family was always her priority; cooking, cleaning and caring for her son, Stephen, following his accident. She knew the details about everyone in her family: birthdays, anniversaries, and other important dates, and always took the time to send cards for each holiday and occasion. Her home reflected this; she decorated her house and especially her kitchen for each season. Generous and giving, her door was never locked because she knew she would have company - and each guest would have their favorite snacks to enjoy during their visit. She was fun loving and usually the last to leave a function, often with her sister and best friend, Hazel. She enjoyed solving cryptograms, collecting all types of giraffe figurines, watching Shirley Temple movies and Jimmy Swaggart Ministries, but she really loved watching (and buying from) QVC. She even knew the names and back stories of the hosts and models. An avid Phillies fan, Jean kept track of scores and watched the games enthusiastically. Her family knew better than to call and try to have a conversation with her when a game was on. Surviving is her daughter: Jill E. Campbell, Penbrook; three sisters: Nancy Betz (and her husband, Ray), Elizabethtown, Sara Sheaffer, Palmyra and Carolyn Kresge (and her husband, Richard), Rutherford; two brothers: Lee Atticks (and his wife, Judy), Rutherford and Fred Atticks (and his wife, Mary), Lititz; 7 grandchildren: Neil Lerch, Stephanie Russell, Lynnette Deitz, Tammy Schriver, Duane Lerch, Jonathan Blackner and Timothy Campbell; 12 great grandchildren: Neil Lerch, Jr, Jonathan Lerch, Christopher Lerch, Josiah Russell, Ashley Russell, Owen Deitz, Erik Schriver, Evan Schriver, Elaina Schriver, Destiny Barner, Emilee Robinson and Gabriel Blackner; one great great granddaughter: Scarlett Adams and many nieces and nephews. Services will be held 11:30 am Friday, August 3, 2018 at her church where a viewing will be held from 10:00 am until 11:00 am. Burial will be in Woodlawn Memorial Gardens. Contributions may be made to Crosspoint United Methodist Church, 430 Colonial Road, Harrisburg, 17109 or the Jimmy Swaggart Ministries, www.jsm.org.